Welcome to Rental Source Property Management LLC! Rental Source will handle all your rental needs- Property Management, Tenant Screening, Credit Checks, Find a Renter, Find a Rental Property in St Charles County and St Louis County, Missouri. Whether you are looking for a place to live or you have a place to rent. Scroll down to see how we can help you. Property Owners Let us handle your Rental Needs! We take care of the hassles of rental properties so you don’t have to. All you have to do is sit back and receive a check from your rentals each month. You never have to show your property and be subjected to no shows, unqualified applicants, or bartering. We can help you just find a qualified tenant and stop there or go on to manage your property for the remainder of the lease. Lease with Option to Purchase contracts are our specialty also -Help Available!!! See our FAQ page and Management Service page for more information on each step of our management process. Renters Looking for a New Home? Let us help! 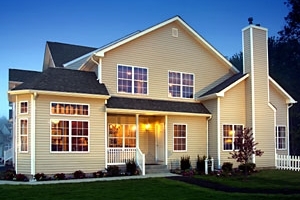 We specialize in leasing multi-family units and single family homes in the St. Charles and St. Louis County. back often. Click here to search. Would you like to see if you can qualify to purchase one of the properties? Lease with Option to Purchase properties available also.